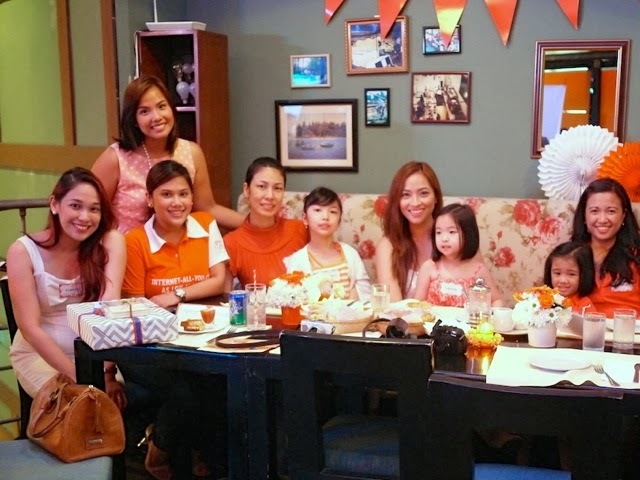 Nuffnang and PLDT Home Bro invited me and several mommy bloggers to a special brunch recently. 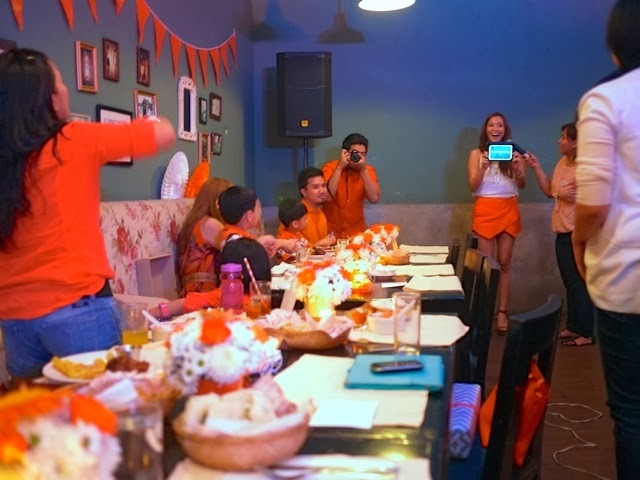 It was my first blogger event for 2014 and I thought it's so apt that it was all about bringing better Internet connection to the Filipino home. 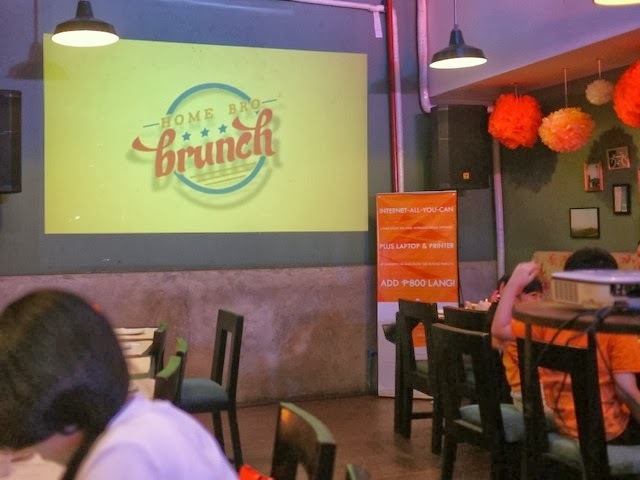 Brunch was held at Borough at the Podium Mall. What we ate. The cookies and milk were sooo good! 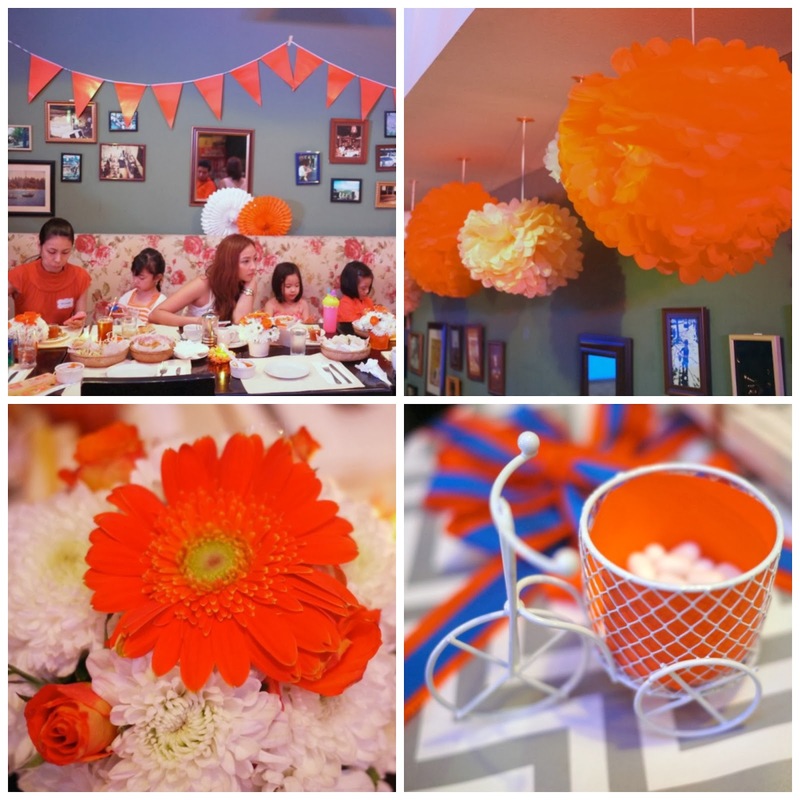 The decor was in my favorite color: orange! Fun games for the moms! 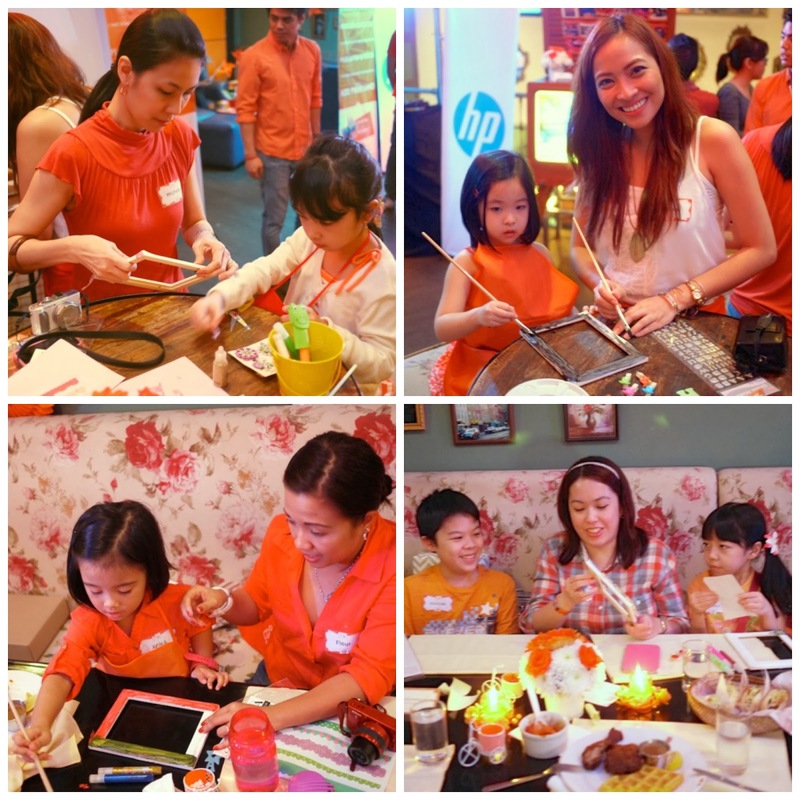 Crafts activities for moms and kids. As a writer, blogger and mother, I strongly believe that every family will benefit from Internet access at home. I'm not just saying that because this is a sponsored post. I'm very connected—from my iPhone and iPad Mini (kindly provided by Smart!) to all the computers we have. 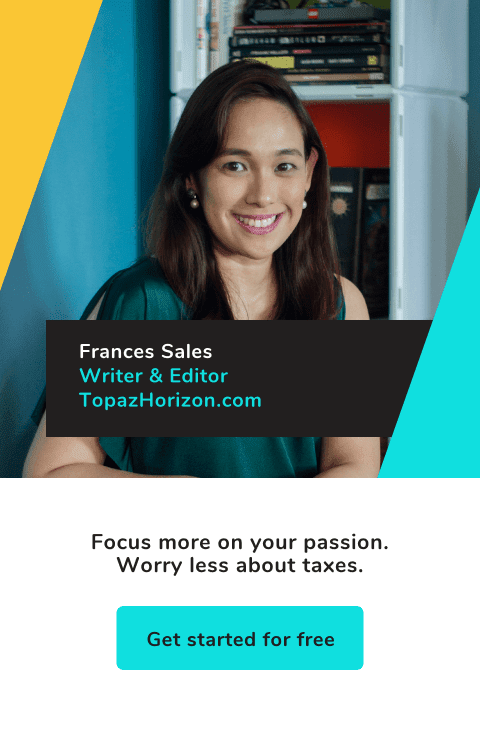 When I worked as magazine editor and now as a freelance writer, being connected is vital. As a stay-at-home mom, I don't feel isolated and alone because I have my friends and family around virtually. My kids will benefit from having Internet at home, too. I truly believe in child-driven education more than the traditional form of school-dictated curriculum, mostly because that was how I learned—from reading books and magazines that were waaaaay age-inappropriate and watching documentaries. Of course I went to good schools but I never enjoyed classroom learning. I found it boring and tedious. Education scientist and winner of the 2013 TED Prize Sugata Mitra said in this TED talk, "Children will learn to do what they want to learn what to do," and he quotes scientist and science fiction writer Sir Arthur C. Clarke: "If children have interest, then education happens." A computer and a fast Internet connection make that education possible. If you're worried about your kids' access to dangerous sites, then it's even better that they do all their Internet use at home! You can monitor the sites they visit, block the sites you don't want them to see, supervise their use and the amount of time they spend online, and be available for support. You can't have all that if they use the Internet at some computer shop! 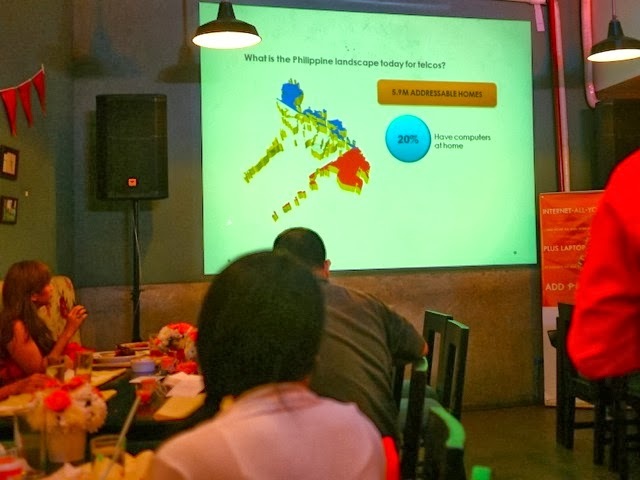 Plus, a computer shop charges P30 an hour but with PLDT Home Bro's Family Bundles, you spend as little as just P36 to as much as P60 a day. Taking into account all the other expenses such as the commute, gas, etc, this is still waaaaaay cheaper and safer than sending your kid to the mall or the corner Internet shop! 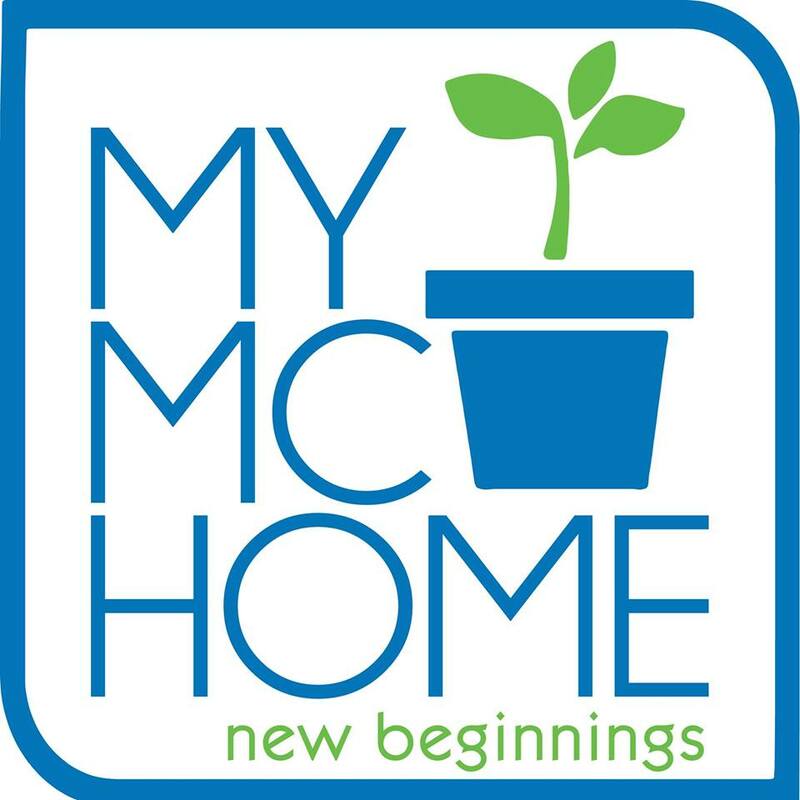 Home Bro's Family Bundles feature Plan 1069 (with HP Deskjet printer) and Plan 1799 (with landline and SIM), and Plan 1799 (with HP notebook and HP Deskjet printer). Whatever plan you get for your family, you will definitely benefit. 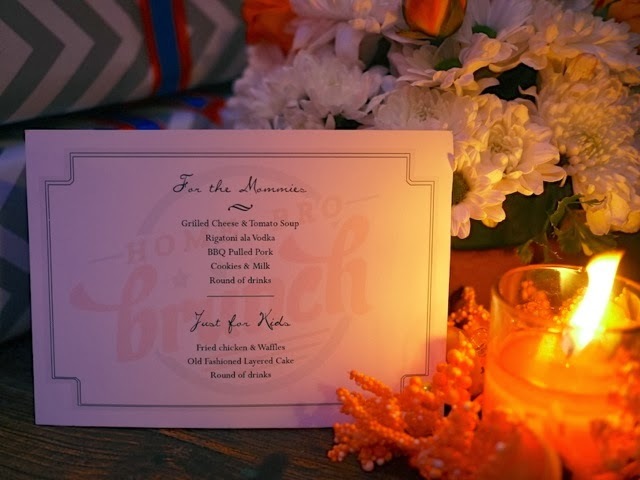 At the PLDT Home Bro Brunch, this quote caught me: "Home Bro is the great equalizer of Filipino families nationwide." This is true. Knowledge, information and education—no matter if you're rich or poor—really levels the playing field. Suddenly, everyone has a fighting chance to succeed. We can make that happen for ourselves and our kids when information is available right at our fingertips and in our own homes! To learn more, visit the PLDT Home Bro page. PLDT Home Bro is hosting its Panalo Mall Tour this February 6-9 at SM North the Block! Tell all your friends about the spectacular mall event filled with fun family activities. On Feb. 9, watch Luis Manzano host the Home Bro Panalo Gameshow from 3-5pm! Get great deals, join fun activities, and get a chance to win big raffle prizes – including a 1-minute grocery shopping spree! That’s what I like about Home Bro—it gives families opportunities to bond and enjoy activities together!